I can't see T&C in the Rafflecopter. It just opens up a blank. Thanks - it didn't save it for some reason, but its in there now. Awesome giveaway! I'd like to enter but can't no FB lol! Are you on Instagram? I have another giveaway for a Calendar on Instragram which hopefully you can enter. 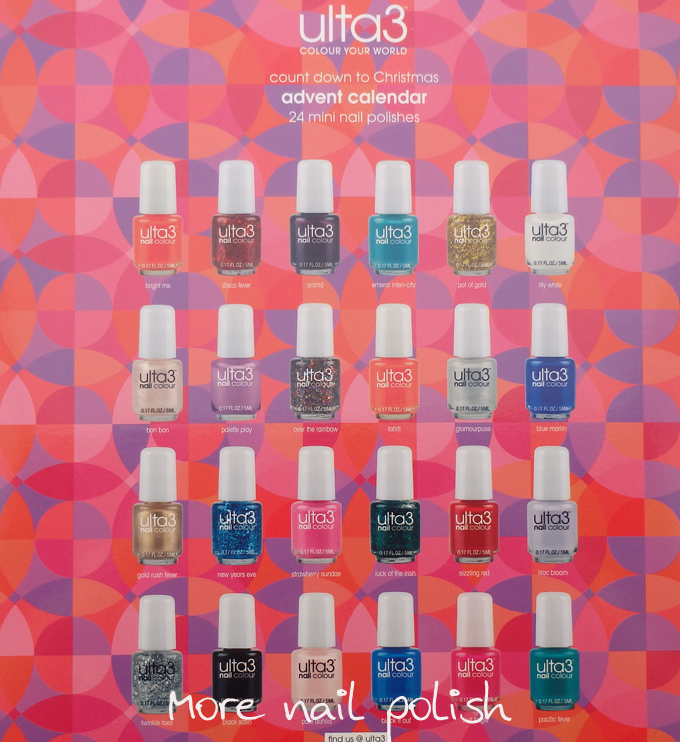 I love the idea of an ulta 3 calendar but looking at the polishes there I already have a bunch or have passed them up previously because I wasn't interested. Still, it's a great idea, especially for people who haven't bought many ulta3s yet. Thanks for the giveaway! I wish more companies would put out a polish advent calendar!! !